The fusion of fashion and function is the purpose of WinterScarf. When founder Heidi Skillman created her first 360 Scarf® in 2003, her simple goal was to create winter wear that would keep up with an active lifestyle. There was a need for highly fashionable, highly functional winter accessories and it took Skillman’s vision to create the 360 Scarf® and launch WinterScarf. 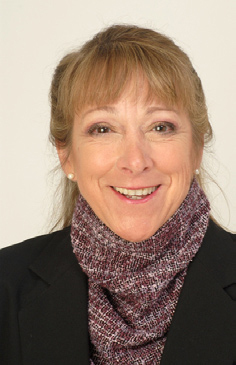 Skillman patented her 360 Scarf® and soon began selling it at local markets. The demand was immediate and she soon expanded WinterScarf across the country at various craft shows, boutiques and over the Internet. Based upon customer demand, the product line has grown to include matching hats and gloves. WinterScarf believes in using only the finest quality fabrics. All products are made with only the warmest, softest, and most stylish fabrics for our customers. Customer satisfaction is our number one priority, and we truly believe it drives our success. We always strive to keep our customers warm and looking absolutely fabulous!. The saying is that “necessity is the mother of invention.” And so it was for long-time business executive, Heidi Skillman, who, while solving a problem, invented the dynamic 360 Scarf and launched WinterScarf. Skillman’s WinterScarf products exemplify her common sense approach and practical-driven past as well as her creativity. After years of serving at the top of the corporate ladder in finance, business strategy and supply chain management, Skillman gained the confidence to build her business from the ground up. In 2003, she designed her first 360 Scarf after a cold and blustery Chicago day when she wanted to walk her dogs in single-digit temperatures. Soon after requests starting pouring in for the scarf from friends, she decided to leverage her business skills and launched WinterScarf. Skillman’s creative and strategic thinking continues to shine in her WinterScarf products as she adds her functional flair to once-mundane accessories like scarves, hats and gloves. With an accounting degree and an MBA from U. Penn’s Wharton School under her belt, Skillman brings over twenty years of senior-level professional experience to the table. After serving as a senior auditor with Ernst and Young, Skillman worked in various accounting and finance positions attaining the CFO position at a mid-size manufacturing company before turning 30. Her MBA from Wharton provided a launching pad to enter strategic planning and supply chain management where she was responsible for over a billion dollars in purchased components with Case New Holland. Throughout her career, Skillman has focused on creative ways to drive strategic change, improve revenue, maximize efficiency and increase customer satisfaction. Simply put, Skillman’s practical yet strategic approach strived to make the most out of available resources. And in a sense, she continues that work today with WinterScarf.